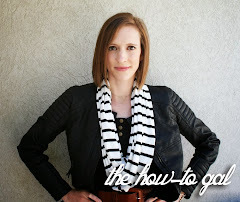 Welcome to The How-To Gal! This blog is intended to be a resource for all those, like me, who love creating something fantastic out of something forgotten or misused in the past. Having beautiful things doesn't mean you have to pay a fortune for them. Through creative means and a little elbow grease, anything can be beautified! Join me in my journey to transform the ordinary into one-of-a-kind treasures. Checking to make sure comments work!